It’s now got new people running it and they’re building something really special down there. There have been lots of improvements to the building already, as it’d been neglected for years, but these things aren’t cheap. Hence the festival is aiming to raise money for the next phase of the work. 7.00 – 7.40 – Stuart Turner is an alternative to your usual singer-songwriter. Having released two solo albums, Turner formed the ironically titled band Stuart Turner & The Flat Earth Society, (who now feature former Dentists guitarist Bob Collins), who released their album ‘Scowl‘ in the summer of 2017. An unusual mixture of indie-pop, skiffle, folk, rockabilly and balls to the wall rock and roll, five albums in they still defy any attempts to classify them, but with the song writing constantly challenging, constantly changing and never the same performance twice. 7.55 – 8.35 – Darren Hayman is an English singer-songwriter and guitarist. He was best known as the writer, lead singer and guitarist in Peel favourites and multiple Festive 50 botherers, Hefner. Since Hefner disbanded in 2002, Darren has embarked on a prolific solo career releasing more than a dozen albums under his own name, while also appearing on albums by Papernut Cambridge, Rotifer and The Great Electric. He has regularly worked with The Wave Pictures, producing an album for them, directing three of their music videos and briefly employed them as his backing band. His most recent work has been a series of songs based on ‘Thankful Villages’, which are those who, during both world wars, didn’t lose any of their folk that went off to fight. 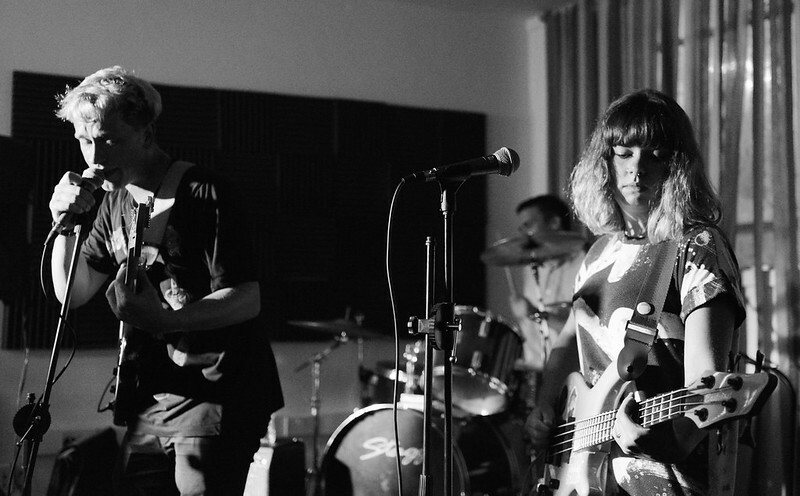 8.50 – 9.30 – Fightmilk are a band who were formed of frustration in 2015 after a string of bad break-ups and boring jobs. They write entitled millennial songs about getting drunk with the right people, falling in love with the wrong ones and always being the girl found crying at parties. They leave odd time signatures or wanky chord changes to other people. Not enough people are making pop music anyway. You can dance to all of their songs apart from the slow ones, though they’d like you to try and dance to those too. 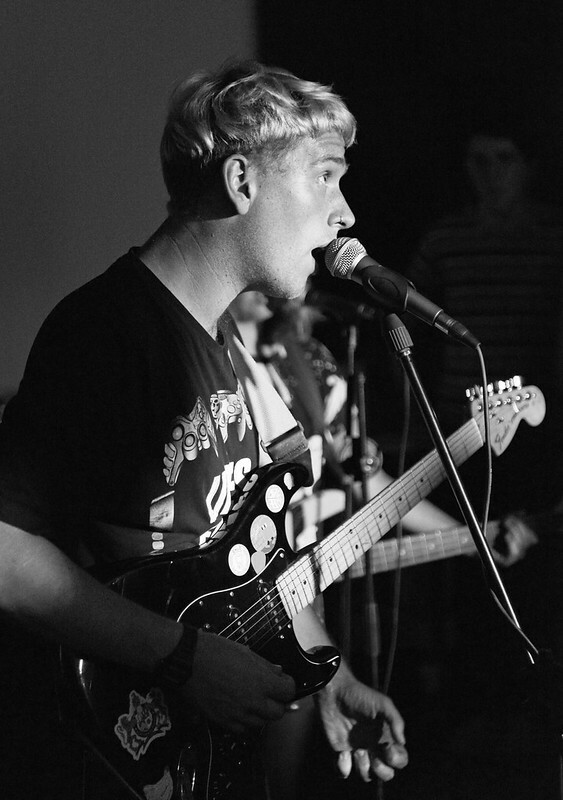 They released an EP, ‘Pity Party’, on Fierce Panda records – according to For the Rabbits, “An EP so good we’ll even forgive them releasing a song about New Year’s Eve in the middle of July” – and are set to release our first album, ‘Sometimes It’s Good to Be Alone’, later this year. 9.45 – 10.45 – Theatre Royal were formed in 2009, naming themselves after the now demolished Theatre Royal in Chatham. The band released their debut album ‘From rubble rises…’ in 2010. Three subsequent albums have been released since their debut, the most recent being ‘And then it fell out of my head’ on independent label Vacilando 68. All four albums have picked up a host of fine reviews and regular airplay on BBC 6music and Radio X / XFM, as well as being championed by cult New York DJ Bill Kelly on WFMU in New Jersey. Live the band have had the pleasure of sharing a stage with the likes of The Chameleons, Public Image Ltd, The Flamin Groovies, The Wedding Present and Sweet Baboo. Theatre Royal take their cues from the last 50 years of guitar music, creating clattering yet literate pop music laden with harmonies and chiming guitar lines. Comparisons have been made to such names as Buffalo Springfield, Echo and The Bunnymen and The Go-Betweens. Theatre Royal are currently working on their fifth album to be released shortly. Admission to the festival is a miserly £4.00 each day, which also gets you a commemorative glass, and allows you into the music area as well. If that’s not an absolute flippin’ bargain, I don’t know what is. See you there on the Friday evening and I’ll happily join you in a pint or two of something tasty to wash the music down with.